Open up all the exciting possibilities that your grand occasion celebrates. 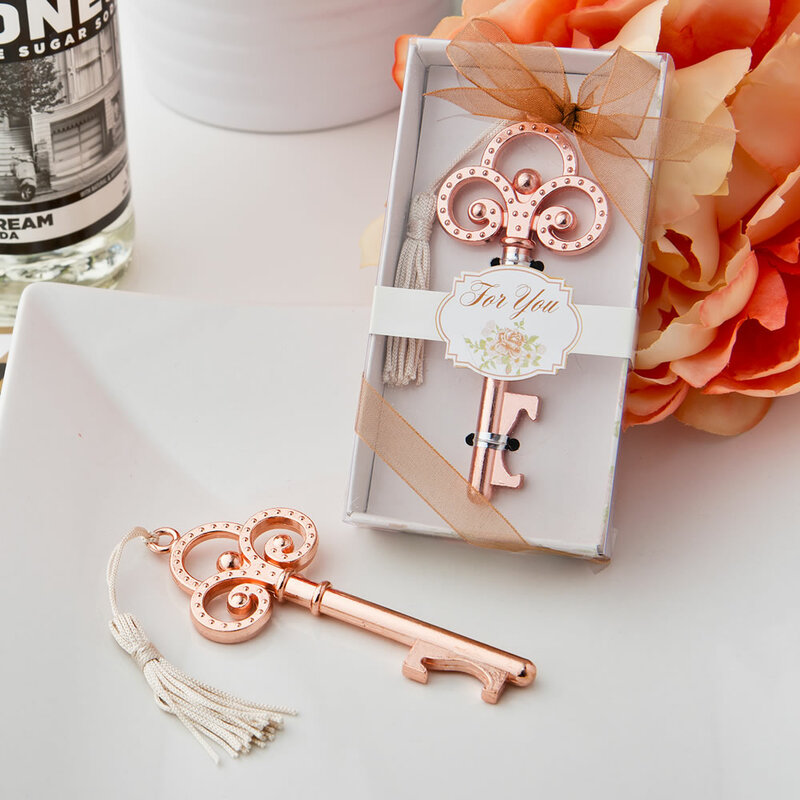 This rose gold vintage key will invite your guests to enter and join you in a uniquely elegant way. Our stunning vintage style key is crafted from solid cast metal and plated in rose gold. Packaged in a garden rose design box with a clear acetate lid for easy viewing of the key box wrapped with bronze organza ribbon and bow box has rose design sleeve slipped across the box with a 'For You' message. This favour is a functional item to; the base of the key is a sturdy cut out bottle opener. Open up your heart and invite your guests to unlock the secrets of your special day with you when you offer them this useful stylish favour.